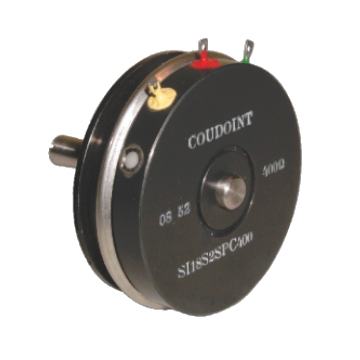 Our potentiometers are wire wound potentiometers with high accuracy (linearity up to ± 0,05 %), high reliability and a long rotational life. They are used in a wide range of industrial applications and in railway applications. 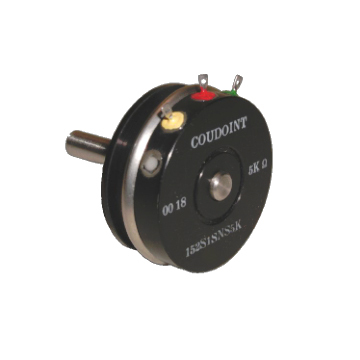 Each potentiometer is supplied at the required ohmic value in the range of feasible values. Multiple-units potentiometers are achieved by combining several units. numerous options: special variation laws, electrical and/or mechanical travel, intermediary taps, terminal wires, shaft design, housing, etc. Two different sizes provide two levels of power rating: size 15 (3 watts), size 18 (6 watts). Des exemples de nos réalisations “sur-mesure” ainsi que des anciens produits remplaçables sont présentés sur ce site et dans la notice produit. Examples of custom designs as well as our former [replaceable] products are shown on this website and in the technical documentation.